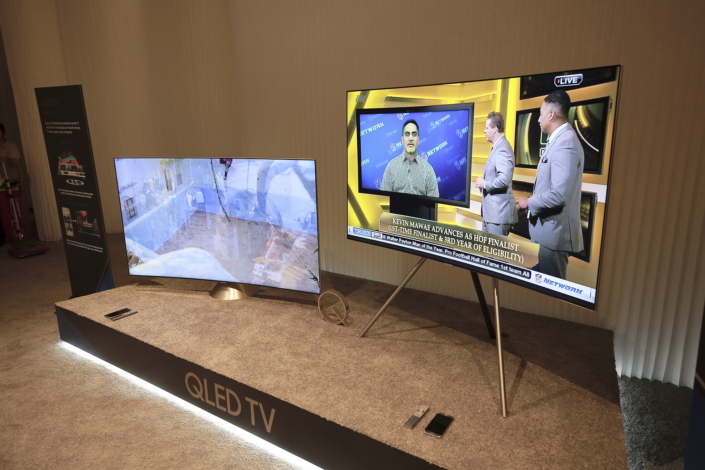 Samsung applied for QLED TV trademarks last year which suggested that the company would soon launch new TVs that will use QLED technology. That’s precisely what it has done today. 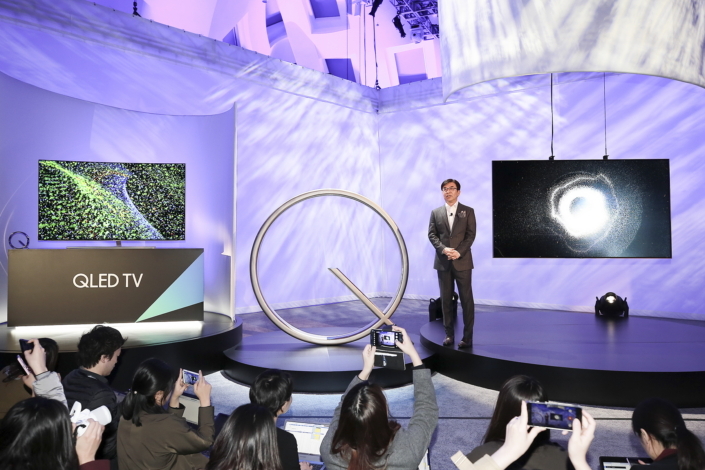 Samsung has showcased its advancement in home entertainment technology by unveiling the new QLED TV series. 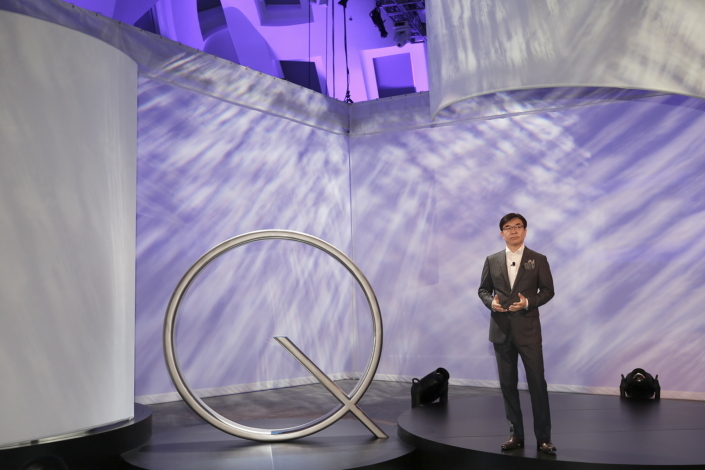 The new QLED TV series – Q9, Q8, and Q7 – was showcased at Samsung’s 2017 product unveiling at the Keep Memory Alive Event Center in Las Vegas ahead of the Consumer Electronics Show 2017. 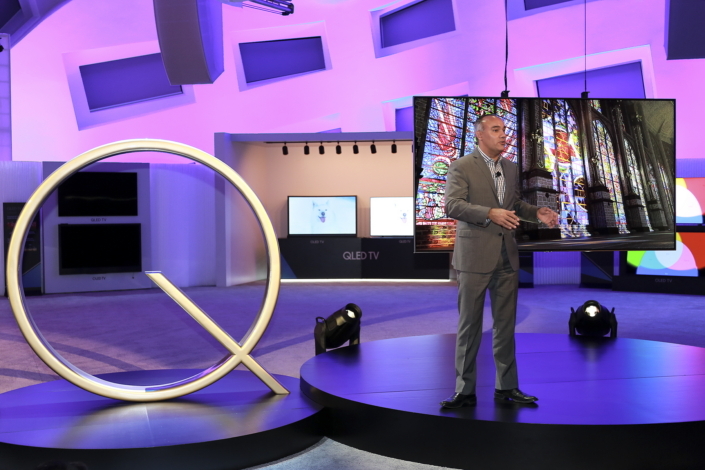 “With the advent of QLED TV, we provide the most true-to-life picture on screen. We have been successful in solving for past inconsistencies in the viewing experience and consumer pain points while redefining the fundamental value of TV,” said HyunSuk Kim, President of the Visual Display Business at Samsung Electronics. Samsung’s new QLED TV series promises dramatically improved color performance as its able to display DCI-P3 color space accurately. The company says that this series is also the first in the world that’s capable of reproducing 100 percent color volume. 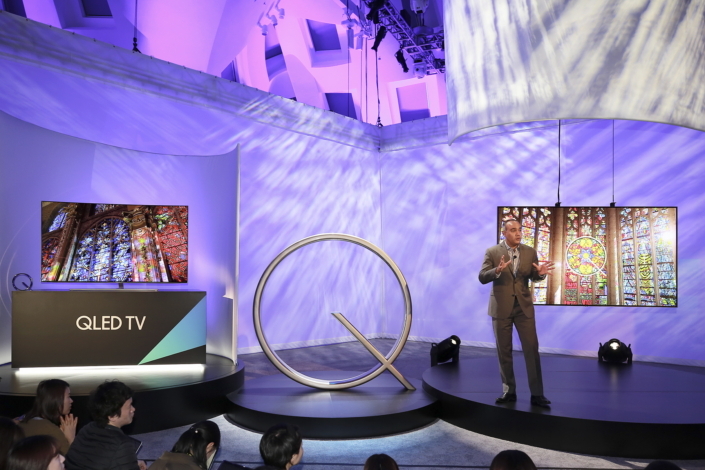 What this means is that the TVs can express all colors regardless of the level of brightness with the subtlest of differences being visible at QLED’s peak luminance between 1,500 and 2,000 nits. The company has also addressed some TV viewer pain points with its new lineup such as cable clutter and thick wall mounts. It says that with the 2017 lineup, the focus is where it should be, the content that’s being displayed on the screen. This is made possible courtesy of a single transparent “Invisible Connection” cable through which all peripheral devices can be gathered and connected to the TV. A “No-gap wall-mount” is also included which makes it easy to fix the TV flush to the wall. 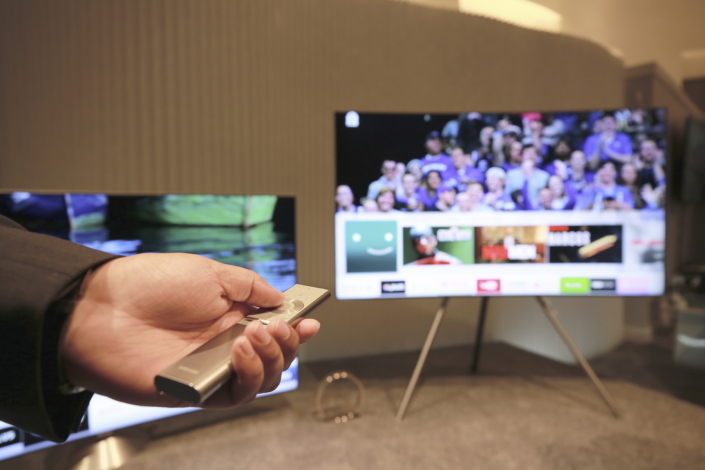 Samsung’s Smart TV platform has also been improved for the new series. The company’s new Smart View app is an extension of the Smart Hub interface to the smartphone. The app provides a comprehensive overview of all available content and can even push notifications about show times and availability. The company has also launched two Smart TV services including Sports and Music which it has previously detailed. 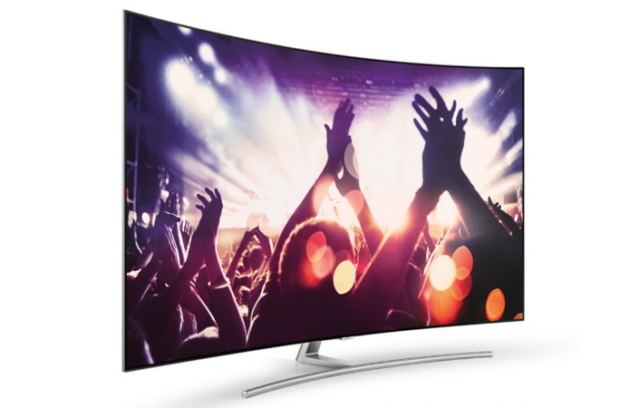 Samsung has confirmed that the new QLED TV series will start shipping in February 2017. Update: Gawk at these beautiful pictures of Samsung’s new QLED TVs while you wait for them to hit the market later this year. Update: It turns out that what Samsung is referring to as QLED isn’t really QLED in true letter and spirit. 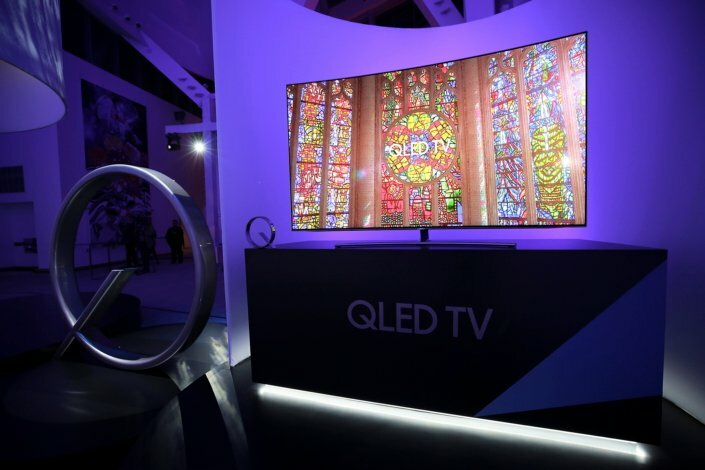 Samsung itself has confirmed that this is merely an update of its existing Quantum Dot backlight technology for LCD-based TVs. 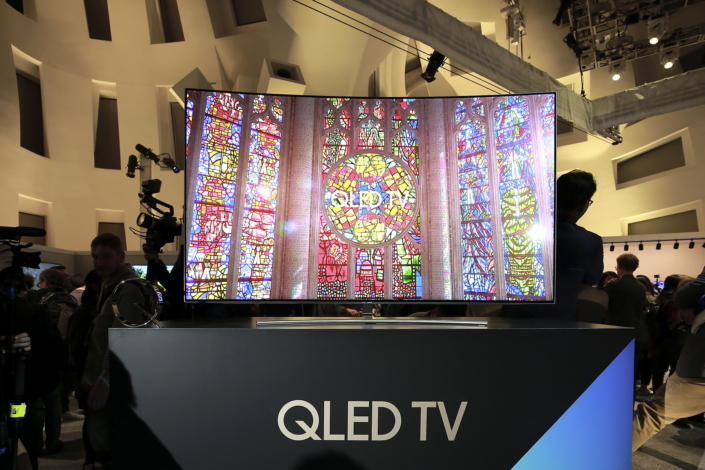 The new QLED TV retains a backlight filter, but all of this doesn’t take away from the fact that Samsung has considerably improved color reproduction in this new series. I know these names are marketing, but if the final results are really better, it’s ok. I hope they bring back the 3D feature with these TV sets. 3D films and games on the JS9000 is amazing.